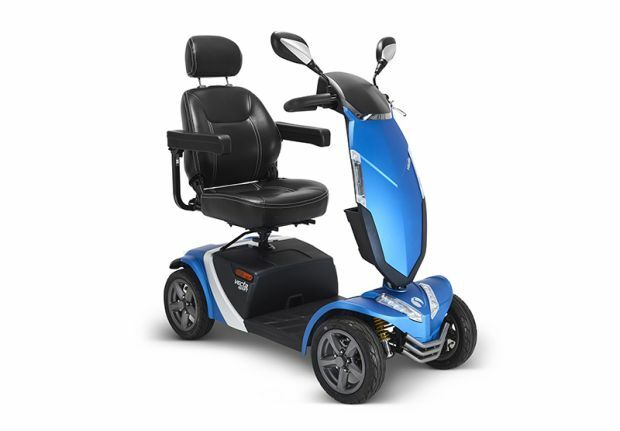 The Vecta Sport is an ultra modern, compact yet powerful mobility road scooter, that has exceptional leg room, adjustable tiller and a super comfortable seat – it is perfect for all users. 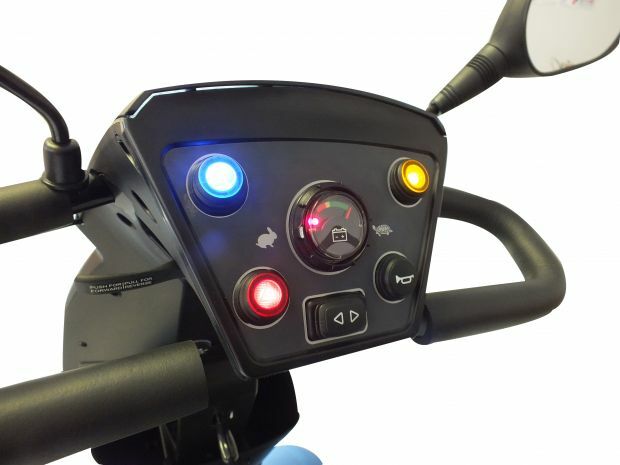 Also includes a simple straight forward waterproof dash panel and controls making it easier to operate with it being so simple and straightforward. The waterproof USB power output ensures that your phone is always charged when you are on your journeys. 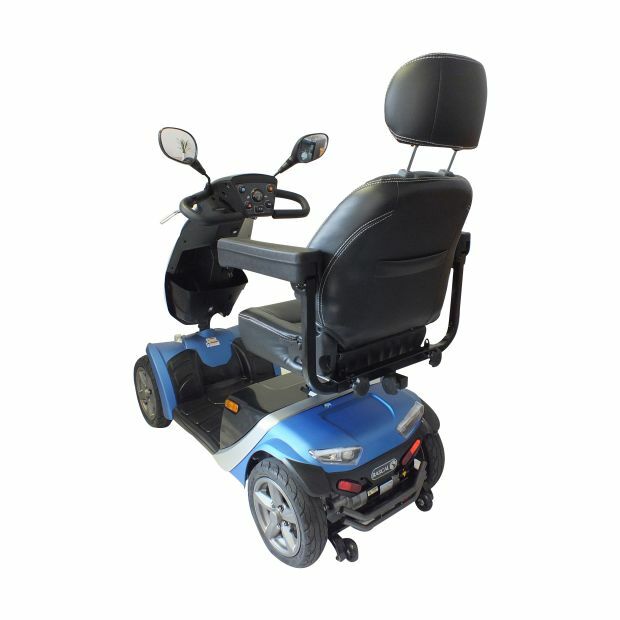 It has a 25 stone carrying capacity, and flat pneumatic tyres.